Grand Rapids is probably best known for Judy Garland and the Yellow Brick Road and maybe least known for NoPo, the newest kid on the coffee block. Some say we're the best kept secret of Grand Rapids, but we love company, and we'd love to be your home away from home! 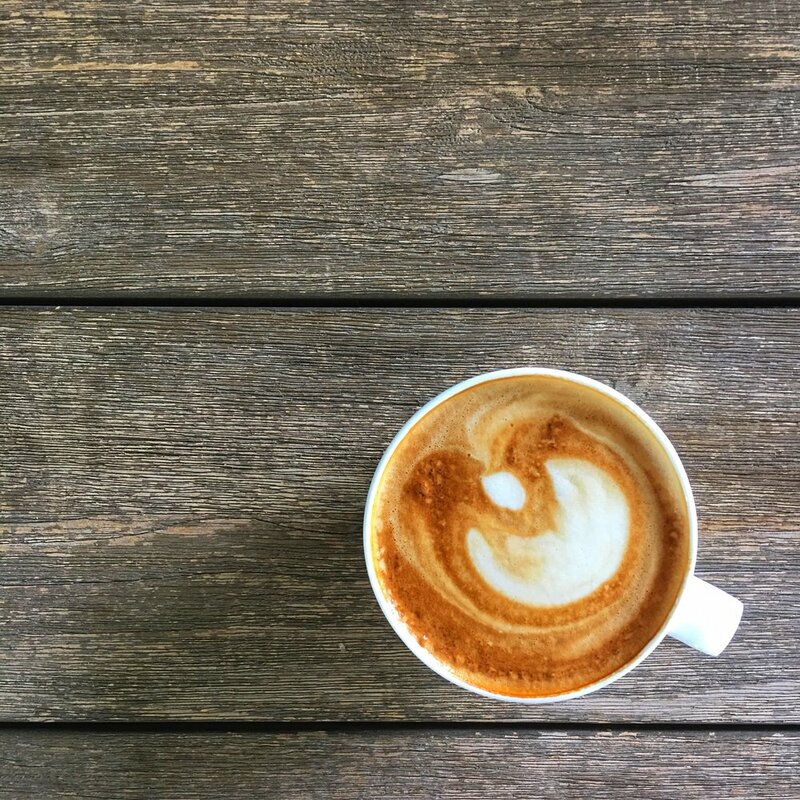 Whether your looking for the freshest roasted coffee, the friendliest barista on the planet, or the biggest and best selection of wholesome and healthy food offerings, you've come to the right place. Our passion is people and we want to make your day - the coffee way. We have a bright and cozy dining space, free WiFi and a unique and welcoming atmosphere. We are open for breakfast, lunch and the occasional evening event - see our events calendar for more details. See our Catering Tab if you'd like food or space for your next event. We found our coffee gurus at Duluth Coffee Company and immediately our search was over. From their ability to source beans directly to their knowledge and clear passion for all things coffee to their truly hipster vibe, we knew we had to be along for their ride. We've never been disappointed in a single roast and we love learning; so we learn from the best. Join us for our next Coffee Cupping event! Being along side a salon, spa and fitness studio, we knew our niche would be wholesome, healthy food options. We take our inspirtion from Ayurveda, Paleo, Keto and the Whole 30 / Whole 9 lifestyles and smush them together on our menu for some scrumptious and interesting flavors and items you'll find nowhere but here. To go options are popular - feel free to order before your workout and pick up after class! We partner with local artists, musicians and bakers. We host a number of community-building events. And, we are truly committed to bringing what is great about Grand Rapids into the light. We may have a big city feel, but we offer it through the lens of our fondness of all things quaint, local and handmade. We love to learn, we love to share, and we love to delight our customers.